The start of practices has arrived in Division III basketball. With it, the expectations for a lot of programs either increases or takes its first steps backwards. We won’t know. All of it happening behind the scenes until we see games start being played for real on Nov. 8. Last week, the D3hoops.com Preseason Men’s Top 25 was revealed and I blogged, twice, part of my ballot. We got through the first 20 spots which leaves five left to be unveiled. The last five traditionally are the most difficult to slot. There could be an argument for maybe 20 teams. That’s why there are so many teams receiving votes in the preseason tabulation. Voters have a lot of different opinions. Some may seem crazy to me seem logical to that voter. Some of my choices may seem crazy to others. Heck, after I submitted my ballot I was second guessing and wondering if I should have made some changes. It is just part of the process. Let’s get to my selections. This blog, we should also take the opportunity to show the entire ballot for the first time. So here we go starting with my Top 10, followed by my 11-20 group, and then my thoughts on the final five. Nebraska Wesleyan tops Dave’s ballot as the defending champions return most of their squad for the 2018-19 season. The MIAA certainly had an off year last season. Hope and Olivet tied atop the standings with four in-conference losses and Adrian and Trine finished third with six losses. Calvin was fifth with eight! You can’t expect the conference to stay down for long. Despite a 19-10 campaign last year, I think Hope is ready to return to the national spotlight. Four starters and over 75% of the points are back as is 80% of the rebounding. Jason Beckman has found his footing after transferring from Alma. The Flying Dutchmen also have a more experienced Preston Granger who could really start to take over inside. The MIAA will be a battle once again be interesting, but I don’t see any reason why Hope isn’t on top most of the season. I debated about not including JCU in my Top 25 Preseason ballot. As great as last season was under first-year head coach Pete Moran, the Blue Streaks did lose two key players in Matthew Csuhran (16.9 ppg, 5.8 rpg, .401 3PT%, .814 FT), Antonio Vyuanich (13.4 ppg, .377 3PT%), and John Cirillo (12.0 ppg, 5.7 rpg, .459 FG%). When I first saw that I erased JCU from consideration. However, when I dug deeper and realized with players like Sean Flannery, Jackson Sartain, Jimmy Berger and others back … John Carroll could be just fine. This is a squad that already plays 13-15 players most games, scores nearly 100 points per game, and limits opponents to nearly 20 points less. I was critical that I didn’t think they were consistent last season, but we will have to wait and see this season if that is still an issue. I’m going to be blunt … I am not sure the NESCAC is as good as it has been touted over the years. Yes, the top usually produces some national contenders, but I sometimes think the rest is smoke and mirrors. That said, this is my third pick from the conference (tying the WIAC on my ballot) and I included the Panthers because Coach Jeff Brown has produced a program that tends not to disappear from the national stage. Jack Daly and his 15.8 ppg and 8.4 rpg will be missed, but four of the top five in scoring have returned lead by Matt Folger who enters his junior season. There are nine players who played in a vast majority of games returning, six of them played in more than half of games on average. I don’t see why the Panthers won’t be lurking once again this season. The Old Dominion Athletic Conference hasn’t been what we all have grown accustomed to in the last few years. One would argue it may not be one of the top five conferences currently due to the lack of national powers. However, the ODAC is still one of the deepest conferences in the country arguably leaving it as a top five conference. Last season, Randolph-Macon and certainly Emory & Henry got most of the attention. However, it was Roanoke that quietly finished 20-8 including 11 in a row at the end of the season before losing to E&H in the conference finals. The Maroons also featured the conference player of the year in Josh Freund (18.4 ppg, 10.4 rpg, .601 FG including 15 double-doubles). Of the top seven scorers for Roanoke last season … six of them return including Freund. Of those who played in 10 or minutes per game on average, nine of them return. I may actually have Roanoke too low on my ballot. Nazareth looking to make waves this season including repeating as Empire 8 champions. The reigning Empire 8 champions … will not be going away anytime soon. The Golden Flyers returned to the 20-win plateau last season for the first time since 2007-2008 winning the Empire 8 conference along the way. Returning are all five starters and nearly 100% of the scoring. The team is senior loaded with four of the five starters heading into their final campaigns. Tyler Stenglein will lead the way and could be the program’s leading the scorer along the way (needs 546 points; scored 497 last season). 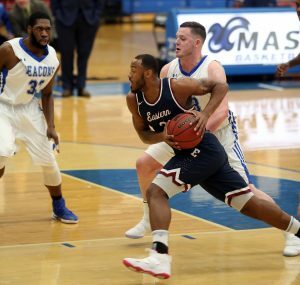 Nazareth is one of those programs that is hard to read in the East Region, so I will be watching carefully, but hard to ignore all of that experience coming back to a program that did so well last season. There is my Top 25. Now, before any of you start losing your minds because your team isn’t listed … let’s take a step back. I considered a number of other teams and already admitted that I thought about making a number of changes to this ballot – especially the bottom five – after I submitted it. I may actually agree with you, but this is how I chose to vote. Who am I also considering? There was a time when I used to list those teams. The problem with it was (a) I couldn’t list every team I was debating about or the blog would be too long and thus (b) people were further insulted that I wasn’t even considering their team. Not much was being accomplished with me spending time talking about even more teams. There are a few teams I think received too many poll points, and a few with too little, but overall I think this is a rock-solid preseason poll – maybe the best I can remember. I like that teams seem to be generally lined up in the correct order within conferences and regions in terms of preseason expectations. And there is not a head-scratching team in the Top 25.
Who knows what we may think a few weeks into the season or at the end, but at least you now know what teams you should be keeping an eye on this season. Others will make their selves known soon enough. And now we get ready to get the games underway. That includes getting Hoopsville ready to air. Get your calendars out, because we preview the season on Sunday, November 4. That will be the 16th Season Debut. More information to come. Dave doing his best “thinking” routine. Welcome back to my Top 25 Preseason blog! I decided to try and do this differently this season, so the readers didn’t have to work their way through a very long blog and reasons for the teams I chose. On Thursday, I revealed my Top 10 for the D3hoops.com Preseason Men’s Top 25. I’m not sure how surprising it was. I know I had teams in a few different spots than others especially when you look at the overall poll. In the preseason, that is not surprising. Trying to determine who may be the best 25 teams coming into the season is not easy, especially when we haven’t seen a single game played (real or exhibition) let along when practices haven’t even started! I feel I am trying to determine the top teams entering the season based on everything we know. I don’t necessarily feel I’m trying to determine who will still be in the hunt when the NCAA tournament starts, but I do try and do a little soothsaying to hopefully be somewhat accurate on that token. I am trying to indicate who I think will be the teams we will be talking about most of the season. That all said, I can’t tell you how many times teams come out of the blocks a bit sluggish, but that’s a topic for another time. At the same time, injuries and other bounces can change the dynamics and that’s impossible to gauge. Pointer Senior Nate Dodge is the leading scorer returning to the team. Whenever you get a senior laden team who has been under the guidance of Bob Semling that long you have to watch out. I know UWSP hasn’t really been the same team we have been used to since their last championship, but the WIAC has been a meat grinder and some understandable distractions have maybe caused many to lose focus on what Stevens Point has on their squad. This team unexpectedly lead the conference last year until about the midway point of conference play. That same squad returns four starters, ten players who averaged more than ten minutes a game, and seven seniors. Most of their scoring is back including Ethan Bublitz who was supposed to shine last season but was cut down by injury before the season really began. I do feel distraction could rear its head again this season, but with that kind of leadership and experience on the players front … UWSP could have another magical season ahead of them. The Gothic Knights are the squad that has made some of my hair go gray. I have bought in, only to be disappointed. I have dismissed, only to be surprised. I have shaken my head so much regarding NJCU in the last two seasons I have strained my neck muscles and made myself dizzy. All jokes aside, I do admit I might be buying in a little too early (though, looking at the poll the sell job may have worked for others). But here is the deal. 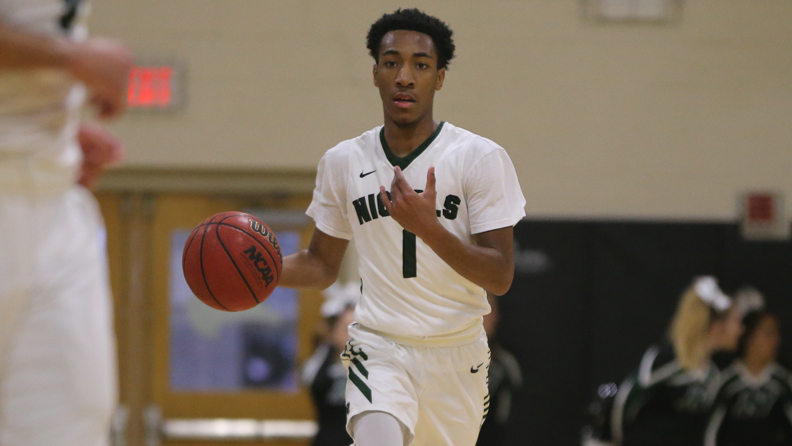 Not only does NJCU already feature a player we all love watching play, Sam Toney, but if reports are to be believed the four starters alongside Toney who have returned won’t be starting. Why? The Toney and NJCU story has apparently resulted in transfers and freshmen wanting to play with Toney and for Coach Marc Brown. Now, I haven’t forgotten the disappointing end to last season in the first round of the NCAA Tournament. That is the team I fear. I also realize that what Brown and Toney have put together could also be special. All I ask is: can I can stop shaking my head? Maryville head coach Randy Lambert has already announced he will retire after this season. Here is the recipe: Take a senior laden squad that has all five seniors returning. Add in another three significant players off the bench which when mixed gives us nearly all (93%) its offensive power back. Now add in the team’s revered coach has already announced it will be his final season. What could be cooked up is a squad that is on a mission. Maryville made its presence known last season, but unfortunately got paired up with Nebraska Wesleyan in the first round of the NCAA tournament or they might be taken a little more seriously this season. The Scots have the chance to dominate what could be a fascinating USA South conference (and division) and position themselves well for the NCAA Tournament. The ingredients are there. It’s just time to throw this mixture in the oven. The class of the MIAC for decades(?) has been another Saint … Thomas. That has taken a backseat, for now. St. John’s is the one on top and for good reason. They have built a squad that is not only able to take it to their bitter rival, but also to the rest of what has become a very competitive and good MIAC. Granted, SJU lost a good chunk of their scoring production from last season, but they return David Stokman who I love watching play and his very good shooting ability (over a 1,000 points with still a season to play). Add in improved play, especially on defense, from Lucas Walford and Zach Hanson and you have a core with the Johnnies that will be hard to contend with. The MIAC will once again be tough (you have to expect St. Thomas will reemerge as well), but I think St. John’s now has something that is hard to take away … confidence. It is going to be another insane season in the WIAC and I expect to see the Pioneers right in the middle of it. They did lose some key players from a terrific team last year, but they also return Rob Duax, Carter Voelker, and others to a team that has been very balanced and strong defensively for a few years. The concern is how much will the conference beat up UWP (and each other), but this is another team that only had its NCAA Tournament run end because they faced Nebraska Wesleyan. However, keep something in mind … UWP held NWU to 79 points. That was over 15 points below their average. Only UW-Oshkosh did better defensively (by a point) in the tournament. And a night after facing UWP, NWU hung 130 on Whitman! IWU’s Brady Rose became just the 19th player in program to average more than 20 ppg (21.4) in a season. The CCIW is the other conference that has been known for absolute dog fights. Augustana appears to be the top dog this season, but the Titans may have a lot to say about that this time around. They return all but one starter including Coach Ron Rose’s son, Bradey, who is one of a load of senior talent and experience (it’s one of several themes this season). They certainly aren’t afraid of the Vikings. Consistency is certainly going to be something I am watching from the Titans this season. It was those perceived inconsistencies last season that gave me pause. However, IWU has a very good schedule to prove themselves this season and I expect we will see another battle atop the CCIW come down to the final game of the regular season. The Blue Jays have transitioned very well from long time coach Bill Nelson to Josh Loeffler who enters his second season. Not only did the team record it’s second 20+ win season in four years, but they hosted the NCAA tournament for the third time since 2007. That 24-5 squad returns four starters and three-quarters or more of their points, rebounds, assists, etc. They have plenty of senior leadership coupled with young guys playing into their roles. The Centennial Conference race won’t be easy, but that experience will play dividends. Also, Loeffler brought in an assistant coach in Trevor Johnson who knows what it is like to be on the big stage. The 2014 graduate of Nebraska Wesleyan has been a Prairie Wolves assistant for the last four seasons. 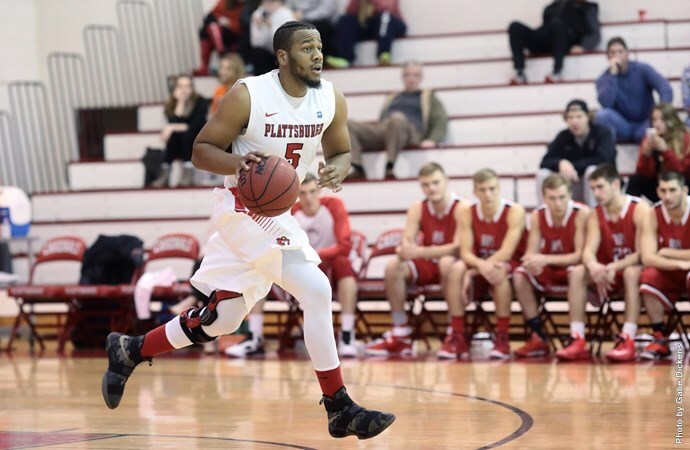 Plattsburgh’s Jonathan Patron clearly has fun when he’s on the court. One of the more exciting teams to watch in the second half of last season, the Cardinals return most of their starters and a bench that was pretty deep. Jonathan Patron will lead this squad and will probably just add to his 23.7 ppg last season. Brandon Johnson will be a more relied upon outside threat along with Nick DeAngelis. The SUNYAC hasn’t been as monstrous in recent years and that may, may, continue this season, but Plattsburgh has some quality tests in its non-conference schedule including Middlebury, Wesleyan, and Case Western Reserve which can prepare them for another possible March run. Along the lines of the changing of the guard in the MIAC mentioned earlier, one thing that has stood out to me about Oles has been their sudden consistency. In four of the last five seasons, St. Olaf has had 19+ win seasons, finished in the conference’s top two, and had their seasons end in tough NCAA tournament battles (Central, Marietta, St. Norbert, & UW-Platteville respectively). The Oles appear to be once again poised to be battling for a MIAC title with four of last year’s starters returning and vast majority of its offensive power. Again, this isn’t the “St. Thomas league.” Thanks to teams like St. Olaf, the MIAC has become one of the top ten conferences in the country with the top being where some of the best basketball is played year in and year out. Swarthmore’s Cam Wiley is a dynamic player, but other offensive threats will determine the Garnet’s success this season. I debated where to put the Garnet for a long time. I know they absolutely blitz Plattsburgh State in the NCAA tournament last season, but I didn’t feel that warranted Swarthmore being too high on my ballot. What Landry Kosmalski has put together in a very quick period of three seasons is remarkable. This team hadn’t won more than 11 wins in at least the nine seasons prior to 2015-16. However, the three seasons since have seen 22, 23, and 25 win campaigns. Swarthmore is good. However, the Garnet did lose a significant amount of its offense with the graduation of Zack Yonda (13.7 ppg., .474 FG, .888 FT) and others. While Swarthmore still does have the electrifying Cam Wiley on the squad, Wiley hasn’t been consistent. The Garnet need Wiley on the same page as his teammates and coaching staff, on and off the floor, if they want to have another successful season. Zac O’Dell and Nate Shafer can provide some great offensive support which could take some of the pressure off Wiley to always produce, but the Garnet will also need role players to step up into bigger roles and some of the youth on the team to learn their roles quickly. There is my 11-20 spots on my preseason ballot. Just five spots left to go. You are going to have to wait on that.